His point was that just as there are no perfect people in the world, there are no perfect churches. The reason? Churches are made up of people. Sometimes we think of churches as only a building, but the Bible says churches are fellowships of people endeavoring to follow Christ - people who aren’t perfect but who are following after the one who is perfect and Holy, Jesus Christ. Maybe you have just moved to a new city, or perhaps you are considering coming back into church after being away for awhile. Or maybe you have never visited a church before. As you begin your journey of finding a church, even though there are no perfect churches, believe that God does have the perfect church for YOU during this season of your life! For I know the plans I have for you, declares the Lord, plans to prosper and not to harm you; plans to give you a future and a hope (Jeremiah 29:11). Even though there is no perfect church, there is a perfect fit for you - a church God has for you to grow and be encouraged in your faith. God has a plan for your life, and that plan includes a local church family! 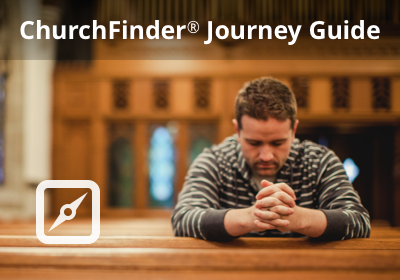 As you go through the Journey Guide, may God guide you in your search and lead you to the right church for you!